Funeral Mist were a black metal band formed in Stockholm, Sweden in 1993. They released two albums and featured prolific metal guitarist, drummer, and studio owner, Tore Stjerna, among their number. The band in its original form comprised of vocalist and guitarist Typhos (a.k.a. Henrik Ekeroth), guitarist Vintras and drummer Velion. Bass player Arioch was added somewhat later. Their debut gig came in 1995 and that same year saw the issuing of their first demo entitled Darkness. The bands' line-up also started to change in this year, as drummer Velion was fired and Necromorbus (Tore Stjerna) took his role. The second demo Havoc followed in 1996, the same year that the band also lost guitarist Typhos to the Swedish band, Dark Funeral. Songs that were written for Arioch’s side project, Winds, were used on this demo. In 1997 also Vintras left the band due to personal differences, and Funeral Mist was now down to only a duo consisting of Arioch and Necromorbus. The debut EP Devilry was released in 1998 and was issued in both CD and vinyl format. The vinyl edition was limited to only 300 copies and featured an exclusive track; Hellspell 2. This track was later included on the 2005 Devilry/Havoc compilation album. After this release that same year, guitarist Nachash was added to the band. 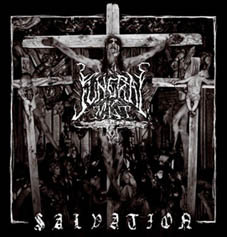 Their first full-length album Salvation was released in on the Norma Evangelium Diaboli label in 2003. 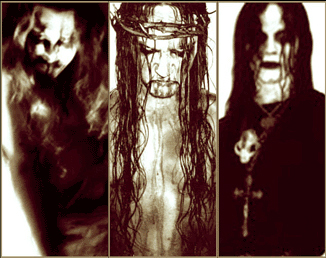 The band is currently on hold as Arioch, now known as Mortuus, joined the Swedish band, Marduk, for their Plague Angel album in (2004), and Necromorbus is active with his own Necromorbus Studio.